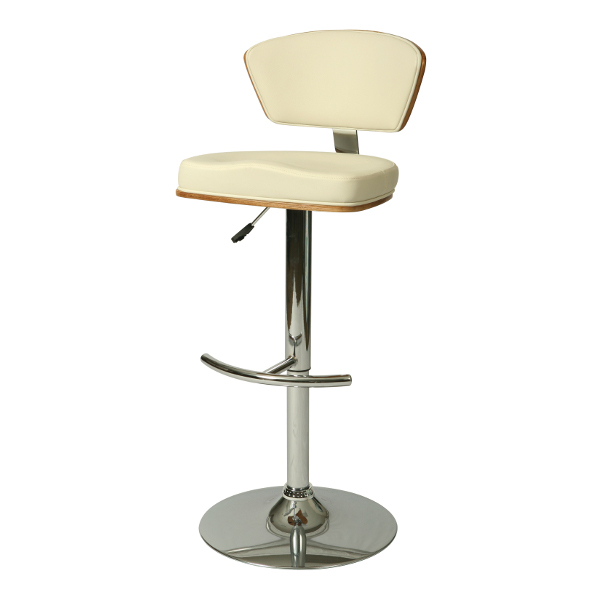 This contemporary Utimate bar stool has a simple yet elegant design that is perfect for any decor. An ideal way to add a touch of modern flair to any dining or entertaining area in your home. 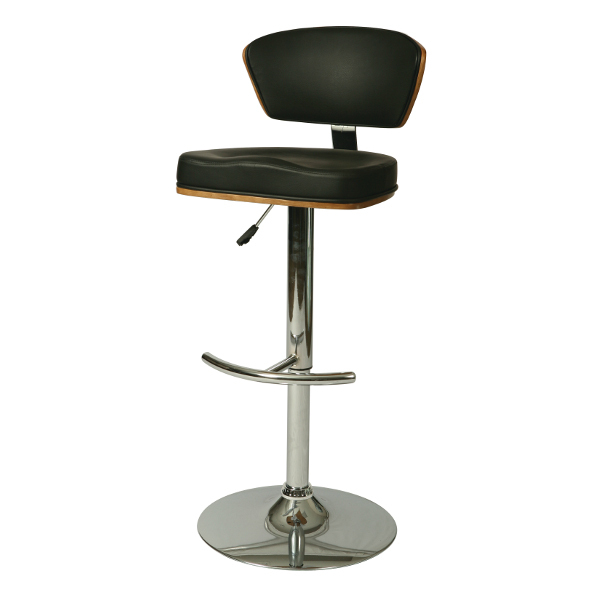 This barstool features a quality metal frame with sturdy legs and foot rest finished in Chrome and Walnut Veneer back finish. The padded seat is upholstered in Pu Ivory or Pu Black offering comfort and style. Available in 26" counter or 30" bar height.